Embossing and debossing are two techniques that we use to either impress or depress an image onto a label or package. Embossing uses a metal die pressing into the back of the material to slightly raise images off the surface. It creates a tactile, 3D effect that brings emphasis to the area that has been embossed. Embossing can be used on its own ( blind emboss ) but is often combined with print and hot foiling to create a premium finish to the embossed logo or image. 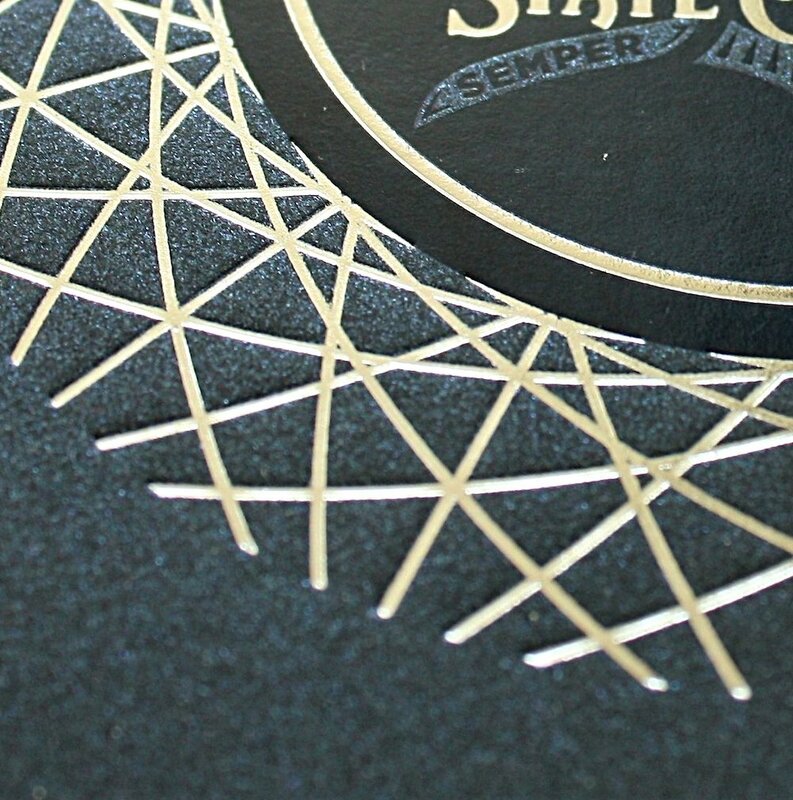 Micro-embossing can add even finer detail to the packaging project and can provide textures, micro textures and security features. Debossing is really the opposite of embossing and where the image has created a depressed effect. In the same way as embossing, the debossed area can be left untouched (blind deboss) or filled in with hot foil. The example on the left was created using flat blue foil with debossed silver foil for the circular cross hatch pattern. At Dagwood, we have a skilled and experienced team who use use traditional methods combined with a large range of specialist machinery. DO YOU NEED PACKAGING PROOFS AND MOCK-UPS?